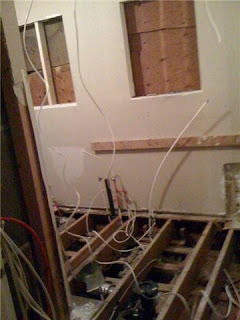 as mentioned earlier i have been seriously laggin on the blog front, and i recognize that. the problem is that these two pictures describe my life right now, things should be back in order soon and then its full speed ahead with the nonsense of blogging! Boy, are you in trouble when Jai and Anji see that mess you've made in the kitchen. Amrit. you don't know the half of it amby. we're in the home stretch now, hopefully completion one day in 2026! You do realise that you can never tell Jai to tidy up after himself either. 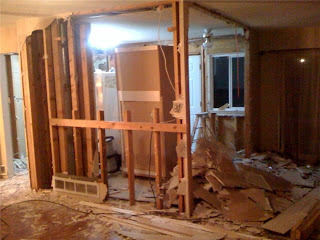 I mean, he has documented proof (on the internet) showing the wreckage that was the kitchen. No doubt when it's finished, it'll be a show room special. I look forward to seeing the finished article! :-) Amrit.